Actress Melissa McCarthy has been in the news lately with her clothing line, Melissa McCarthy Seven7, which debuted August 13th on the Home Shopping Network (HSN) Channel and promised to be “for every woman of every size and shape”. Other designers have come out with similar promises before and fallen short and I’ve written about a couple of such disappointments (see Dear Kelly Osbourne I’m a Woman Too and Come One, Come All Unless You’re Fatty, Fat, Fat). Which is why I was thrilled when Melissa announced her venture and was quoted in Women’s Wear Daily as saying “I’m doing all sizes. It’s a strange thing to stop at a certain size. Women don’t, so why should clothes?”. The line was touted to “be the ‘game-changer’ transforming the retail landscape for all sizes”. Melissa had previously complained about not finding someone to make a suitable gown for her to wear to the Academy Awards when she was nominated for her role in Bridesmaids. I was so excited. FINALLY!!! Someone who understands the frustration that we bigger women endure in not finding attractive, quality clothing in our sizes. In July, there were articles and blog posts about Seven7 debuting in August with sizes ranging from 4 to 28. HUH?!!! What happened to ALL sizes? 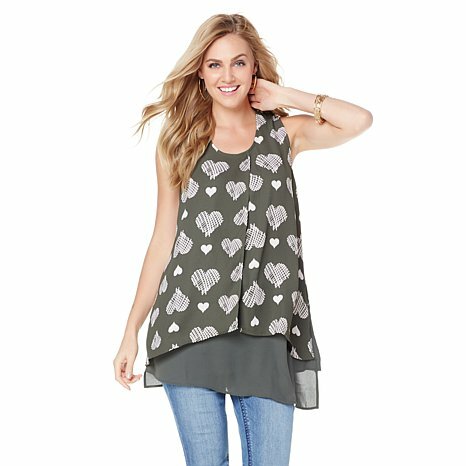 August 13th, I’m eagerly perusing the HSN website for the Seven7 pieces and see an adorable sleeveless tank top. The biggest size it’s available in is 22. But, but, but… what happened to ALL sizes? Does anyone else see the contradiction? How can fashion come in “every size” when you’re limiting the range to 1X-3X and 16W-24W? More articles and stories about Seven7 and how Melissa believes that clothing sizes shouldn’t be segregated in stores. What?! OK, first I will say that I agree with not segregating sizes. Why should there be a plus size or big/tall section at all? We know what fits us… just hang them together with the other clothes, indicate the sizes and we’ll be smart enough to find them. However, whether she realizes it or not, Melissa has opened a restaurant and told people who are below size 4 and over size 28 that they can’t eat there. 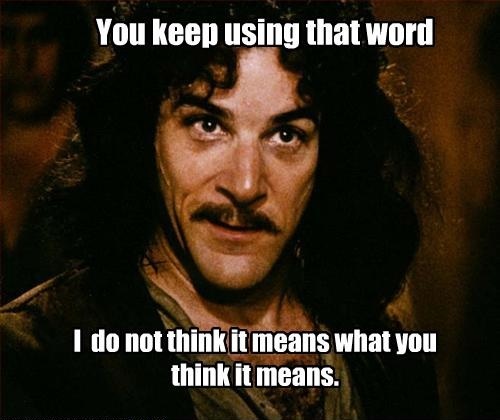 Yet again, someone who uses the word “all” and doesn’t include “ALL”. And that is disappointing.